Pet therapy can make any hospital stay better! 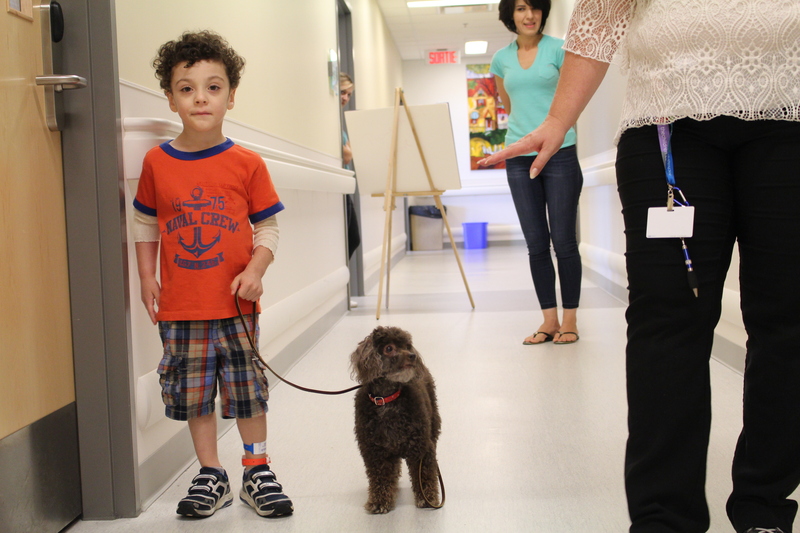 Once a week, Manon from Zoothérapie Quebec comes to the Children’s with either Gaïa, a miniature brown poodle or Maya, a bichon-cross. They sometimes visit patients on the units but most of their day is spent meeting children in the hospital’s Teen Lounge. Child Life specialists coordinate visits for families so that their child can have a little “one on one” time with our dedicated canine volunteers. 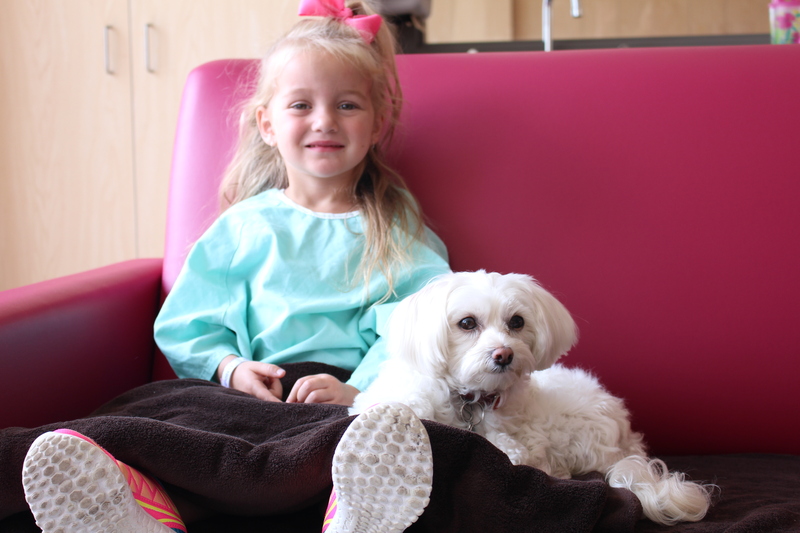 The Pet Therapy program, like several other Child Life programs, provides a way to normalize the hospital environment and reduce the stress that can be associated with hospitalization. 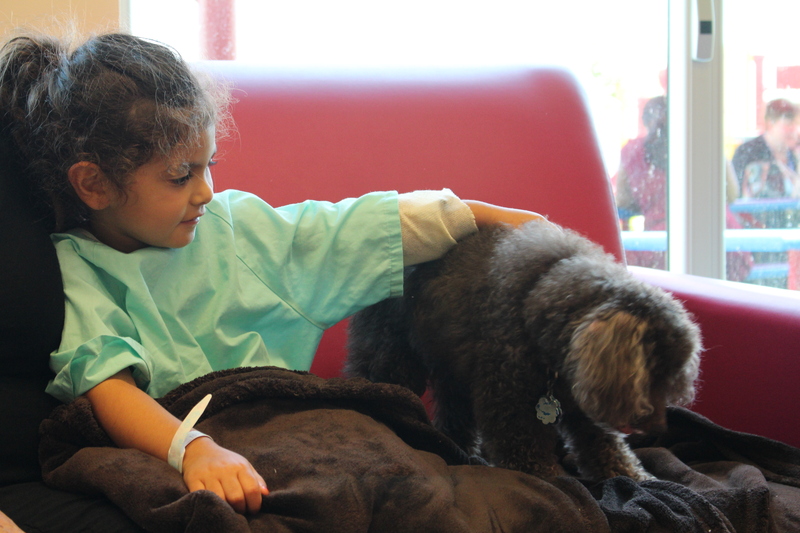 The dogs’ visits to the Children’s are always highly anticipated!